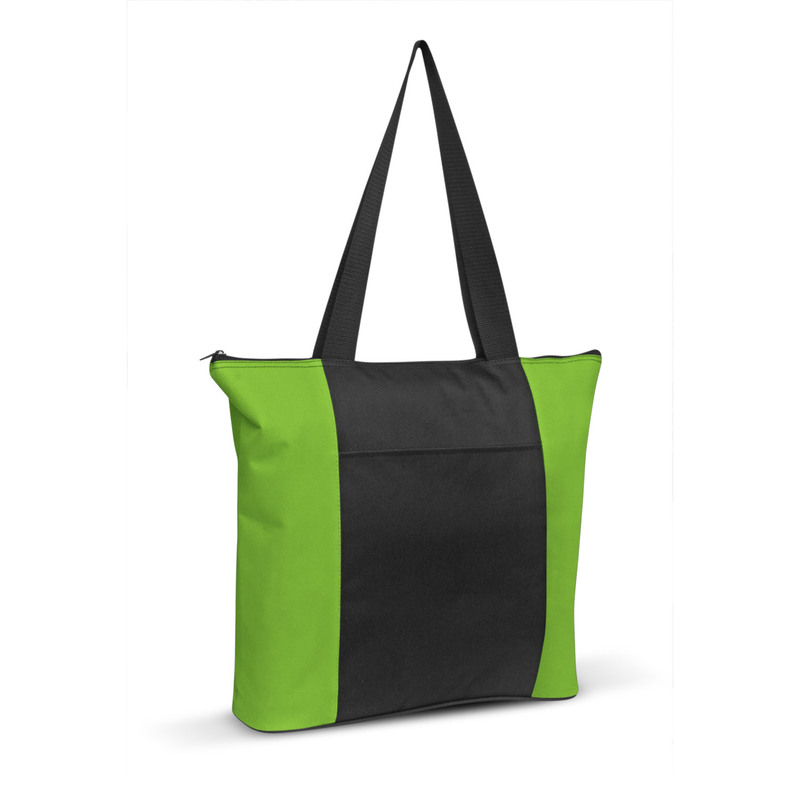 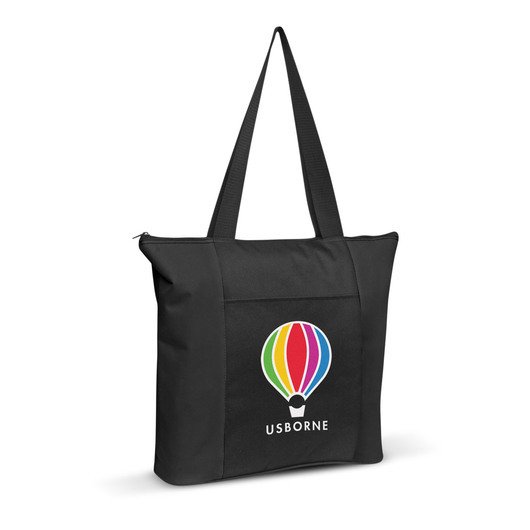 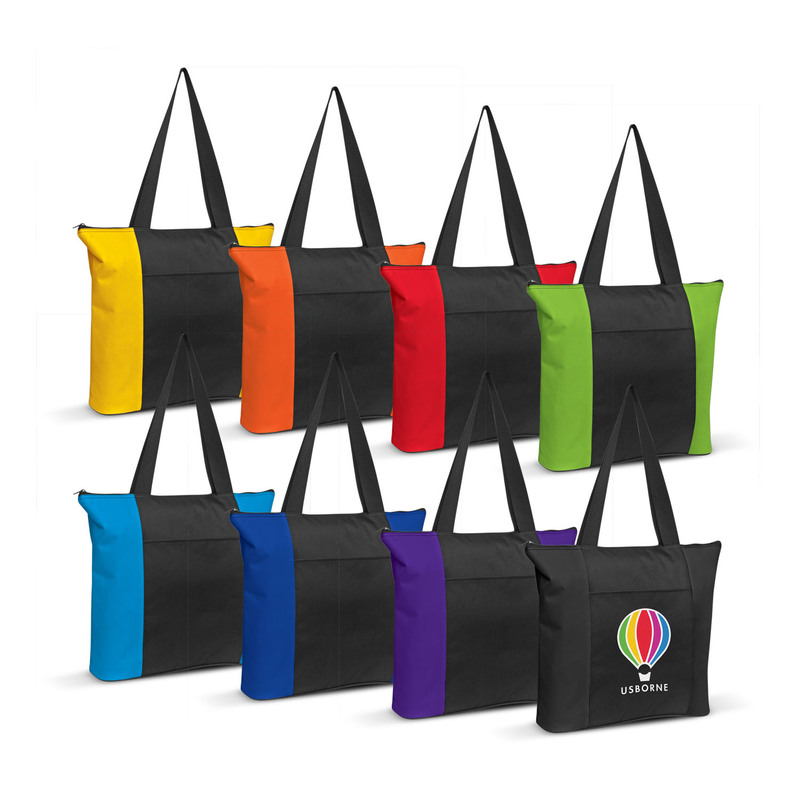 A high quality 600D polyester tote bag that's eye-catching and features your decorated logo. Style meets practicality with these luxurious tote bags. They have a rounded gusset and a sewn base for added capacity. Made from tough 600D polyester material these bags will go the distance and they also include a zippered front pocket, a secure zippered top closure and long woven carry handles that allow for comfortable transport on the shoulder. An everyday tote bag you will love to be seen with.